HDR Photography is one of the newest ways to take photos, being one of the most recent techniques to be practiced in the past few years. It’s a ton of fun, and anyone can do it! 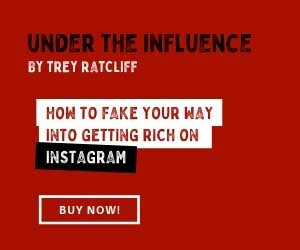 This page will answer some of the basic questions and tendrils will drift off to other areas of the site that may interest you. Existing users can check this link to see if you qualify for an upgrade for just $59. 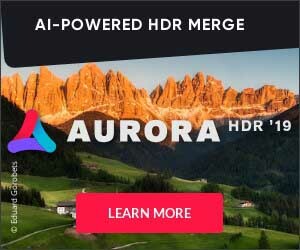 New users may purchase Aurora HDR 2019 for just $99. Creating HDR photos is something anyone can do. Even you! I’ve taught thousands of people and I’m sure I can teach you too. I have a FREE HDR Tutorial for Mac and Windows here on StuckInCustoms.com that describes the step by step process. If you’d like to dive deeper, I also have video tutorials for Aurora HDR 2019. The tutorial shows how I use the tool for a variety of situations… landscapes, sunrise/sunset, people, motion, etc..
And yes, you can make an HDR out of a single photo as well. That is described in the HDR Tutorial here. To me, the HDR process helps the photos look more evocative and alive! You might consider that the way the human brain keeps track of imagery is not the same way your computer keeps track of picture files. There is not one aperture, shutter speed, etc. In fact, sometimes when you are in a beautiful place or with special people and you take photos — have you ever noticed when you get back and show them to people you have to say, “Well, you really had to be there.” Even great photographers with amazing cameras can only very rarely grab the scene exactly as they saw it. Cameras, by their basic-machine-nature, are very good at capturing “images”, lines, shadows, shapes — but they are not good at capturing a scene the way the mind remembers and maps it. When you are actually there on the scene, your eye travels back and forth, letting in more light in some areas, less light in others, and you create a “patchwork-quilt” of the scene. Furthermore, you will tie in many emotions and feelings into the imagery as well, and those get associated right there beside the scene. Now, you will find that as you explore the HDR process, that photos can start to evoke those deep memories and emotions in a more tangible way. It’s really a wonderful way of “tricking” your brain into experiencing much more than a normal photograph. Many people ask, “Why not just use HDR Photoshop?” I don’t recommend just using Photoshop, and I have a little article at that link that talks about it. What is your philosophy behind art and photography? …a good question, even if I did write it myself! Well, the answer is too long for this format, but you can find a few nuggets of truth inside this article I wrote entitled “10 Principles of Beautiful Photography“. I’ve also penned a series of books on photography. You can find those over at my store. Here are a few photos I’ve created… I make a new one every day here on the home page at StuckInCustoms.com, so you are welcome to come back regularly.